OK this one is throwing me for a loop. Land Rover, the SUV company, apparently wants to trademark a new brand name: “Road Rover.” If your reaction is “what,” that is also my reaction. If I am not mistaken, “roads” tend to go on the “land.” And as such, Land Rover should generally cover all things on the land, including, uh, “roads.” And even if there was a distinction, there’s already “Rover,” a not-so-storied brand name already owned by Land Rover’s parent company, Tata Motors. So if there was a car made by LAND Rover that only went on the ROADS, it would be fine, it would seem, to just call it a REGULAR Rover. Or, you know, a Rover. Correct me if I’m wrong, and who knows, maybe I am! But I seem to remember Land Rover already making a rival to the S-Class, known as the Jaguar XJ. 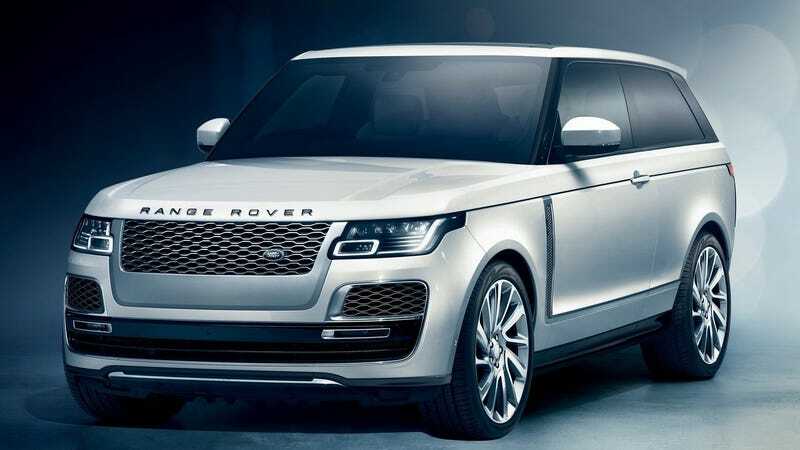 And if it were to be an S-Class rival in terms of luxury and interior craftsmanship, but also with some all-terrain capability, it would be a Range Rover. But maybe I’m just not on the Galaxy Brain level of people who name cars these days. Anyway, Autocar goes on to note that “Road Rover” is actually a name historic to Land Rover, and that it was the name of a 1960s two-door SUV concept that later morphed into the original Range Rover, and there was recently a small batch two-door Range Rovers sent into production, so there is vaguely some precedent here. Precedent aside, I will still be a stubborn ox and proclaim “Road Rover” to be a strange name for a car. I will inevitably be proven wrong when you lot buy a billion of the things.